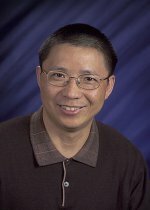 Dr. Jian Zhi Hu is a senior scientist (Level-V) at Pacific Northwest National Laboratory (PNNL) and is a mentor for junior scientist, postdoctor and graduate student research. Dr. Hu joined PNNL in 2000. Prior to then, Dr. Hu was an assistant research professor at University of Utah's Department of Chemistry from 2000 to 2001; and a research professor and associate at several scientific institutions. High-resolution and -sensitivity proton metabolite NMR spectrum on samples with very limited masses and volumes. Dr. Hu is an author and co-author of about 147 peer-reviewed publications. He holds 6 issued U.S. patents, 3 foreign patents and one R&D 100 award that are all related to NMR technology development and applications. Ultra-high field NMR spectroscopy, quantum chemistry calculations to predict molecular geometry and the principal values of chemical shift tensors, and quadrupolar coupling constants; and NMR lineshape simulation, NMR pulse sequence design, programming, and testing. Special Academic President Award of the Chinese Academy of Sciences in 1995. 2012 R&D100 Award on graphene based materials for lithium ion battery application. Hu J.Z., X. Xiao, and M.Y. Hu. 2016. "NMR Metabolomics in Ionizing Radiation." Clinics in Oncology 1. PNNL-SA-120277. Feng J., J.Z. Hu, S.D. Burton, and D.W. Hoyt. 2013. "High Resolution Magic Angle Spinning 1H-NMR Metabolic Profiling of Nanoliter Biological Tissues at High Magnetic Field." Chinese Journal of Magnetic Resonance 30, no. 1:1-11. PNNL-SA-89007. Hoyt D.W., R.V. Turcu, J.A. Sears, K.M. Rosso, S.D. Burton, J. Kwak, and A.R. Felmy, et al. 2011. "IN SITU MAGIC ANGLE SPINNING NMR FOR STUDYING GEOLOGICAL CO(2) SEQUESTRATION." In 241st National Meeting and Exposition of the American Chemical Society, March 27-31, 2011, Anaheim, California, 241, 245-Fuel. Washington Dc:American Chemical Society. PNNL-SA-77039. Hu J.Z. 2011. "Slow Magic Angle Sample Spinning: A Non- or Minimally Invasive Method for High- Resolution 1H Nuclear Magnetic Resonance (NMR) Metabolic Profiling." In Metabolic Profiling: Methods and Protocols. Methods in Molecular Biology, edited by TO Metz. 335-364. New York, New York:Humana Press. PNNL-SA-70771. Vijayakumar M., S.N. Kerisit, K.M. Rosso, S.D. Burton, J.A. Sears, Z. Yang, and G.L. Graff, et al. 2011. "Lithium Diffusion in Li4Ti5O12 at High Temperatures." Journal of Power Sources 196, no. 4:2211-2220. PNNL-SA-70935. Vijayakumar M., S.D. Burton, C. Huang, L. Li, Z. Yang, G.L. Graff, and J. Liu, et al. 2010. "Nuclear Magnetic Resonance Studies on Vanadium(IV) Electrolyte Solutions for Vanadium Redox Flow Battery." Journal of Power Sources 195, no. 22 SP ISS:7709-7717. PNNL-SA-71574. Hu J.Z., J.A. Sears, J. Kwak, D.W. Hoyt, Y. Wang, and C.H. Peden. 2009. "An Isotropic Chemical Shift-Chemical Shift Anisotropic Correlation Experiment Using Discrete Magic Angle Turning." Journal of Magnetic Resonance 198, no. 1:105-110. PNNL-SA-63634. Osborn W., T. Markmaitree, L.D. Shaw, R. Ren, J.Z. Hu, J. Kwak, and Z. Yang. 2009. "Solid-State Hydrogen Storage: Storage Capacity,Thermodynamics and Kinetics." JOM. The Journal of the Minerals, Metals and Materials Society 61, no. 4:45-51. PNNL-SA-65236. Hu J., J. Kwak, Z. Yang, W. Osborn, T. Markmaitree, and L.D. Shaw. 2008. "Investigation of Mechanical Activation on Li-N-H Systems Using 6Li Magic Angle Spinning Nuclear Magnetic Resonance at Ultra-High Field." Journal of Power Sources 182, no. 1:278-283. PNNL-SA-58038. Hu J., J. Kwak, Z. Yang, w. osborn, T. Markmaitree, and L.D. Shaw. 2008. "Probing the Reaction Pathway of Dehydrogenation of the LiNH2 + LiH Mixture Using In Situ 1H NMR Spectroscopy." Journal of Power Sources 181, no. 1:116-119. PNNL-SA-59762. Dixon D.A., Z. Dohnalek, M.S. Gutowski, J. Hu, E. Iglesia, B.D. Kay, and J. Liu, et al. 2007. "Early Transition Metal Oxides as Catalysts: Crossing Scales from Clusters to Single Crystals to Functioning Materials." In Frontiers in Catalysis Science. Meeting of the Catalysis and Chemical Transformations Program Chemical Sciences, Geosciences and Biosciences Division, Office of Basic Energy Sciences, U.S. Department of Energy Rockville, MD May 23-26, 2004, 389-392. Washington, District Of Columbia:Department of Energy. PNNL-SA-54459. Herrera J.E., J. Kwak, J. Hu, Y. Wang, C.H. Peden, J. Macht, and E. Iglesia. 2006. "Synthesis, Characterization, and Catalytic Function of Novel Highly Dispersed Tungsten Oxide Catalysts on Mesoporous Silica." Journal of Catalysis 239, no. 1:200-211. PNNL-SA-46575. Hu J., D.N. Rommereim, R.A. Wind, K.R. Minard, and J.A. Sears. 2006. "A Simple Approach for Obtaining High Resolution, High Sensitivity 1H NMR Metabolite Spectra of Biofluids with Limited Mass Supply." In Proceedings of the 2006 International Conference on Bioinformatics and Computational Biology (BIOCOMP '06), edited by HR Arabnia and H. Valafar, 360-366. Las Vegas, Nevada:CSREA Press. PNNL-SA-48823. Kwak J., J.E. Herrera, J. Hu, Y. Wang, and C.H. Peden. 2006. "A New Class of Highly Dispersed VOx Catalysts on Mesoporous Silica: Synthesis, Characterization, and Catalytic Activity in the Partial Oxidation of Ethanol." Applied Catalysis. A, General 300, no. 2:109-119. PNNL-SA-46146. Wind R.A., and J. Hu. 2006. "In vivo and ex vivo high-resolution 1H NMR in biological systems using low-speed magic angle spinning." Progress in Nuclear Magnetic Resonance Spectroscopy 49, no. 3-4:207-259. PNNL-SA-48956. Wind R.A., J. Hu, and P.D. Majors. 2006. "Localized in Vivo Isotropic-Anisotropic Correlation 1H NMR Spectroscopy Using Ultraslow Magic Angle Spinning." Magnetic Resonance in Medicine 55, no. 1:41-49. PNNL-SA-45789. Dhamne A., W. Xu, B.G. Fookes, Y. Fan, L. Zhang, S.D. Burton, and J. Hu, et al. 2005. "Polymer-Ceramic Conversion of Liquid Polyaluminasilazanes for SiAlCN Ceramics." Journal of the American Ceramic Society 88, no. 9:2415-2419. PNNL-SA-44828. Dixon D.A., Z. Dohnalek, M.S. Gutowski, J.Z. Hu, E. Iglesia, B.D. Kay, and J. Liu, et al. 2005. "Early Transition Metal Oxides as Catalysts: Crossing Scales from Clusters to Single Crystals to Functioning Materials." In Frontiers in Catalysis Science: Proceedings of the 12th DOE/BES Heterogeneous Catalysis & Surface Science Meeting, 389-392. Upton, New York:Frontiers in Catalysis Science. PNNL-SA-42058. Hu J., J. Kwak, J.E. Herrera, Y. Wang, and C.H. Peden. 2005. "Line narrowing in H-1 MAS spectrum of mesoporous silica by removing adsorbed H2O using N-2." Solid State Nuclear Magnetic Resonance 27, no. 3:200-205. PNNL-SA-42819. Wind R.A., and J. Hu. 2005. "Nuclear Magnetic Resonance Spectroscopy Applications: Proton NMR In Biological Objects Subjected To Magic Angle Spinning." In Encyclopedia of Analytical Science, edited by Paul Worsfold, Alan Townshend, and Colin Poole. 333-342. Amsterdam:Elsevier Academic Press. PNNL-SA-45304. Wind R.A., H. Bertram, and J. Hu. 2005. "SLOW-MAS NMR METHODS TO STUDY METABOLIC PROCESSES IN VIVO AND IN VITRO." In Magnetic Resonance in Food Science: The Multivariate Challenge, edited by P. S. Belton, S. B. Engelsen, Hans J�rgen Jakobsen. 156-165. New York, New York:Royal Society of Chemistry. PNNL-SA-49849. Bertram H., J. Hu, D.N. Rommereim, R.A. Wind, and H.J. Andersen. 2004. "Dynamic High-Resolution H-1 and P-31 NMR Spectroscopy and H-1 T-2 Measurements in Postmortem Rabbit Muscles Using Slow Magic Angle Spinning." Journal of Agricultural and Food Chemistry 52, no. 9:2681-2688. PNNL-SA-41831. Hu J.Z., R.A. Wind, J.S. Mclean, Y.A. Gorby, C.T. Resch, and J.K. Fredrickson. 2004. "High Resolution 1H NMR Spectroscopy of Metabolically Active Microorganisms Using Non-Destructive Magic Angle Spinning." Spectroscopy 19, no. 12:98-103. PNNL-SA-42335. Hu J., and R.A. Wind. 2003. "Sensitivity-enhanced Phase Corrected Ultra-slow Magic Angle Turning Using Multiple-Echo Data Acquisition." Journal of Magnetic Resonance 163, no. 1:149-162. PNNL-SA-37766. Wind R.A., and J. Hu. 2003. "Magnetic susceptibility effects in nuclear magnetic resonance spectroscopy of biological objects." In Recent Research Developments in Magnetism and Magnetic Materials, edited by S.G. Pandalai. 147-169. Trivandrum:Transworld Research Network. PNNL-SA-38967. Wind R.A., J. Hu, and D.N. Rommereim. 2003. "High Resolution H-1 NMR Spectroscopy in a Live Mouse subjected to 1.5 Hz Magic Angle Spinning." Magnetic Resonance in Medicine 50, no. 6:p. 1113-1119. PNNL-SA-38565. Barich D.H., J. Hu, R.J. Pugmire, and D.M. Grant. 2002. "Carbon-13 Chemical-Shift Tensors in Polycyclic Aromatic Compounds: Fluoranthene and Decacyclene." Journal of Physical Chemistry A 106. PNNL-SA-45310. Hu J., and R.A. Wind. 2002. "The evaluation of different MAS techniques at low spinning rates in aqueous samples and in the presence of magnetic susceptibility gradients." Journal of Magnetic Resonance 159, no. 1:92-100. PNNL-SA-37899. Hu J., D.N. Rommereim, and R.A. Wind. 2002. "High Resolution 1H NMR Spectroscopy in Rat Liver Using Magic Angle Turning at a 1 Hz Spinning Rate." Magnetic Resonance in Medicine 47, no. 5:829-836. PNNL-SA-35454. Wind R.A., J. Hu, and D.N. Rommereim. 2001. "High Resolution 1H NMR Spectroscopy in Organs and Tissues Using Slow Magic Angle Spinning." Magnetic Resonance in Medicine 46, no. 2:213-218. PNNL-SA-34181. Hu J., M.S. Solum, R.A. Wind, B.L. Nilsson, M.A. Peterson, R.J. Pugmire, and D.M. Grant. 2000. "1H and 15N Dynamic Nuclear Polarization Studies of Carbazole." Journal of Physical Chemistry A 104. PNNL-SA-35513. Wind R.A., B. Shi, J. Hu, M.S. Solum, P.D. Ellis, D.M. Grant, and R.J. Pugmire, et al. 2000. "H-1 Dynamic Nuclear Polarization in Supercritical Ethylene at 1.4 T." Journal of Magnetic Resonance 143, no. 1:233-239. PNNL-SA-32121.